Microsoft has collaborated closely with US intelligence services to allow usersâ€™ communications to be intercepted, including helping the National Security Agency to circumvent the companyâ€™s own encryption, according to top-secret documents obtained by the Guardian. 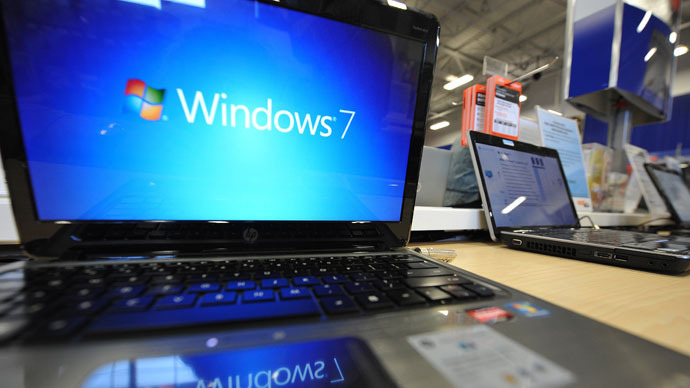 Microsoft received 75,378 government requests in 2012 to disclose user information, a report reveals. The company joins the likes of Google, which handed over troves of user data to governments last year, raising concerns over privacy violations. The software giant claims the requests come from the FBI and as such the disclosure of the information can be justified. Microsoft revealed in its transparency report it had disclosed data pertaining to 137,424 user accounts at the behest of world governments. Microsoft maintains that actual “customer content” was released in only 2.1 per cent of cases. However, names, email addresses, user names and locations, which the company classifies as ‘non-content’, were released in 79.8 per cent of cases. Most of the requests to reveal user information over the past year originated in the US, UK, Turkey, Germany and France. “However, we only disclose data in 46 countries where we have the ability to validate the lawfulness of the request,” said a company spokesperson. "In recent months, there has been broadening public interest in how often law enforcement agencies request customer data from technology companies and how our industry responds to these requests," Microsoft general counsel Brad Smith said. Google was first off the mark and has published a transparency report three years running, detailing the quantity of information handed over to government agencies. It also claimed to have received request letters from the FBI as part of terrorism investigations. Last week a judge in the US ruled that the use of such letters went against the American constitution because it bypasses the rights of the individual involved. However, the judge allowed the measures to remain in place pending appeal. Microsoft has come in the firing line before for its surveillance practices regarding popular telephony tool Skype, which the company acquired in 2011. Earlier this year a group of 44 privacy and free expression groups wrote an open letter to Microsoft, urging them to publish a transparency report on how exactly the company uses private information in government surveillance. “We believe that this data is vital to help us help Skype’s most vulnerable users, who rely on your software for the privacy of their communications and, in some cases, their lives,” read the letter. Eva Galperin from the Electronic Frontier Foundation told Forbes she was “a little suspicious of the language” used in the transparency report regarding Skype and is concerned that Skype may have provided the government with a backdoor to eavesdrop on conversations without consulting Microsoft. “This doesn’t exclude the possibility that Microsoft used cryptographic means to undermine a users’ security and allow law enforcement to perform their own wiretap,” Galperin told Forbes magazine. Apple, Microsoft and Adobe have been summonsed to appear before the Australian parliament at a hearing into why the tech firms sell their goods to local consumers at higher prices than in the US. ­The parliamentary committee for infrastructure and communications announced that a public hearing will be held on March 22nd in Canberra. "The Committee is looking at the impacts of prices charged to Australian consumers for IT products – Australian consumers often pay much higher prices for hardware and software than people in other countries," the committee said. "The Committee has been examining claims made by organizations such as CHOICE, and the Australian Communications Consumer Action Network." "In what's probably the first time anywhere in the world, these IT firms are now being summoned by the Australian parliament to explain why they price their products so much higher in Australia compared to the United States," said ruling Labor government MP Ed Husic, who helped set up the committee. Australian “people’s watchdog”, CHOICE found that Australians pay on average 34% more for software, 52% more for iTunes music, 88% more for Wii games and 41% for computer hardware than US consumers, their official website states. The research indicated that the majority of these price discrepancies were likely due to price discrimination from large international firms. Russia’s Yandex search engine has pushed Microsoft’s Bing aside in global search statistics, climbing to fourth place after Google, Baidu and Yahoo! ­The world-wide search statistics are compiled by comScore’s qsearch. The trend started November, Yandex representative Tatyana Komarova told Vedomosti daily. Then Yandex processed 4.62 billion search requests compared to Microsoft’s 4.48 billion requests that meant each had roughly a 2.6 percent share. In December the trend continued, as Yandex handled 4.84 billion requests (2.8 percent share) and Microsoft 4.48 billion (2.5 percent share). In the number of unique searchers the companies change places – in December with Microsoft having 268.6 million, and Yandex just 74.4 million. The growth in searches through Yandex happened because of increase of Russian internet use, according to Komarova. The Russian segment grew 17% in 2012 up to 42.2 million users. Even through it improved its performance worldwide Moscow-based Yandex NV (YNDX) is a long way behind Google, which retains its position of the world’s search leader. Google handled 114.73 billion requests in December for a 65.2 percent market share. China’s Baidu came next with 14.5 billion (8.2 percent), followed by Yahoo with 8.63 billion (4.9 percent). However, while Google dominates American and European markets – over 65 percent of American searches and over 90 percent of European searches are made with the Google; in Russia it gives ground to Yandex. In Russia, Yahoo accounts for twice as many searches as Google, having 60.5 percent of Russia’s web-search market compared to 26.4 percent for Google. Like Google Yandex’s core business is in search and also has innovative projects from data and mobile to mapping. Yandex has become the first Russian company to get access to the vast database of the CERN nuclear research establishment in Switzerland. Last fall Yandex rolled out its own web browser and Android app store in Russia, hoping to expand them worldwide. Yandex also developed a voice-activated visual search engine for Facebook called Wonder, which lets people find local businesses friends had visited or taken photos at, what music they’d been listening to, and what news they had been reading. However, Facebook had to cut its data access (along with Twitter’s Vine app, among others) due to its data policy. Taking advantage of Russia’s rapidly growing internet market, Yandex has opened up in Turkey. The company says it hopes to raise its market share to 35 percent in five years from 1.4 percent today. Google has 93.7 percent market share in Turkey according to ComScore. “The target looks ambitious,” Aleksandr Vengranovich, an analyst at Otkritie Capital in Moscow, told Bloomberg. He noted that it took Google about five years to reach 26 percent in Russia, with most of its gains coming from Yandex. Yandex says it chose Turkey because of its population of 75 million, and an increasing online audience, Bloomberg reports. The country is now the No. 6 web search market. In November, Yandex became the default search on handsets running the Windows Phone operating system in Turkey, even though Microsoft’s Bing search engine is available. In Turkey, Yandex also developed technology for street-view maps that blurs the face of Kemal Ataturk statues and street portraits to comply with a ban on photographing images of the country’s founder. Microsoft to ban freedom of speech? Does the U.S. Have the Ingredients to Win a Trade War? America Bombs, Europe Gets the Refugees. That’s Evil. What was the success-rate of the April 14th missiles against Syria? What Would It Take for Trump Voters to Realize He’s Corrupt? Who Will Take on the 21st Century Tech and Media Monopolies? Credible Possibility Now for Nuclear War, Russia-v.-U.S.
Amazon workers ask “$100 billion man” Jeff Bezos: where’s my cut? Doctor Who Cares if She’s a Woman? NHS braces for more ransomware hack attacks… but where’s Britain’s health secretary? Goldman Sachs Is Acknowledging Climate Change. Why Isn't the GOP? How Does Corporate Media Manufactures False Narratives? Millions for the Boss, Cuts for You! Did Turks Vote to Become an Islamic State? Private NSA Army is Attacking YOU! New stock market crash, a pattern? How Much Wealth Are Our Wealthiest Hiding? Will Telcos Follow ISPs and Extend Warrant Protection for All? China bashing reflects official US policy. Washington does it numerous ways. It's reprehensible. It's confrontational. It's potentially belligerent. Rogue states operate this way. No nation spies on more nations than America. None more intrusively. None more aggressively. None more lawlessly. None for more reasons. None in more ways. None more duplicitous about it. None more involved in cybercrime. More on this below. China is a major US economic, political and military rival. Washington wants it marginalized, weakened and isolated. It wants its sovereign independence eliminated. It want pro-Western puppet governance replacing it. It wants its resources plundered. It wants its people exploited. Bashing China risks open conflict. So does pursuing America's overall imperial objectives. On May 19, Washington declared unprecedented cyberwar on China. The Justice Department headlined "US Charges Five Chinese Military Hackers for Cyber Espionage Against US Corporations and a Labor Organization for Commercial Advantage"
"First Time Criminal Charges Are Filed Against Known State Actors for Hacking"
A federal grand jury indicted five Chinese Peoples Liberation Army officials. Doing so was unprecedented. It was provocative. Individuals charged didn't matter. Washington confronted the People's Republic of China directly. It did so by targeting its military. Charges include "computer hacking, economic espionage and other offenses directed at six American victims in US nuclear power, metals and solar products industries." They allege conspiracy "to hack into American entities, to maintain unauthorized access to their computers and to steal information from those entities that would be useful to their competitors in China, including state-owned enterprises (SOEs)." Attorney General Eric Holder claimed "economic espionage by members of the Chinese military and represents the first ever charges against a state actor for this type of hacking." "The range of trade secrets and other sensitive business information stolen in this case is significant and demands an aggressive response," he said. FBI Director James Comey claimed "(f)or too long, the Chinese government has blatantly sought to use cyber espionage to obtain economic advantage for its state-owned industries." "State actors engaged in cyber espionage for economic advantage are not immune from the law just because they hack under the shadow of their country’s flag." Third Department Chinese People's Liberation Army (PLA) Unit 61398 officials named include Wang Dong, Sun Kailiang, Wen Xinyu, Huang Zhenyu, and Gu Chunhui. Alleged companies targeted include Westinghouse, SolarWorld subsidiaries, US Steel, Allegheny Technologies, Alcoa, "the United Steel, Paper and Forestry, Rubber, Manufacturing, Energy, (and) Allied Industrial and Service Workers International Union (USW)." One count of "conspiring to commit computer fraud and abuse." Eight counts of "accessing (or attempting to access) a protected computer without authorization to obtain information for the purpose of commercial advantage and private financial gain." Fourteen counts of "transmitting a program, information, code, or command with the intent to cause damage to protected computers." Six counts of "aggravated identify theft." One count of "economic espionage." One count of "trade secret theft." Xinhua is China's official press agency. It's a ministry-level department. It provides electronic and print news and information. "China lodged protests with the US side following the announcement, urging the U.S. side to immediately correct its mistake and withdraw the indictment." "(T)he position of the Chinese government on cyber security is consistent and clear-cut. China is steadfast in upholding cyber security." "The Chinese government, the Chinese military and their relevant personnel have never engaged or participated in cyber theft of trade secrets." "The US accusation against Chinese personnel is groundless with ulterior motives." Evidence shows "terminals of Chinese military access to the internet have suffered from great number of foreign cyber attacks in recent years, and a considerable number of such attacks originated from the United States." "China demands that the US side explain its cyber theft, eavesdropping and surveillance activities against China and immediately stop such activities." America is "the biggest attacker of China's cyber space." US attacks "infiltrate and tap Chinese networks belonging to governments, institutions, enterprises, universities and major communication backbone networks." "Those activities target Chinese leaders, ordinary citizens and anyone with a mobile phone." "This US move, which is based on fabricated facts, grossly violates the basic norms governing international relations and jeopardizes China-U.S. cooperation and mutual trust." Nine or more major online companies cooperate with lawless NSA spying. Google, Microsoft, Yahoo, Facebook, Apple, Skype, YouTube and others are involved. They do so through NSA's Prism. It gains access to search histories, emails, file transfers and live chats. It's gotten directly from US provider servers. Doing so facilitates mass surveillance. NSA spies globally. Its activities reveal rogue agency lawlessness. NSA targets China intensively. It lawlessly hacks its computer and telecommunications networks. It focuses on strategically important information. It does so through its ultra-secret China hacking group. It conducts cyber-espionage. Huang Chengquing is Beijing's top Internet official. China has "mountains of data," he said. It reveals widespread US hacking. It's designed to steal government secrets. NSA's Tailored Access Operations (TAO) in involved. It's ultra-secret. Most NSA personnel and officials know little or nothing about it. Only those with a need to know have full access. TAO operations are extraordinarily sensitive. They penetrate Chinese computer and telecommunications systems. They've done so for nearly 16 years. They generate reliable intelligence. They learn what's ongoing in China. They obtain what Washington most wants to know. It's done by surreptitious hacking. It cracks passwords. It penetrates computer security systems. It decrypts successfully. It steals hard drive data. In October 2012, Obama authorized cyber-attacks. He did so by secret presidential directive. His Offensive Cyber Effects Operations (OCEO) "offer(s) unique and unconventional capabilities to advance US national objectives around the world with little or no warning to the adversary or target and with potential effects ranging from subtle to severely damaging." Washington "identif(ies) potential targets of national importance where OCEO can offer a favorable balance of effectiveness and risk as compared with other instruments of national power." Domestic spying works the same way. Anything goes defines policy. Constitutional protections don't matter. Or US statute laws. Or international ones. Or relations with other nations. Washington rules alone apply. TAO's mandate is penetrating, destroying, damaging, or otherwise compromising targeted sites. It's the largest, most important NSA Signal Intelligence (SIGINT) Directorate component. Well over 1,000 military and civilian computer hackers, intelligence analysts, targeting specialists, computer hardware and software designers, and electrical engineers are involved. Their job is identifying sensitive computer systems and supporting telecommunications networks. Their mandate is penetrating them successfully. They exceed the capability of other US intelligence gathering agencies. Their activities expand exponentially. China knows what's going on. So do Russia and other nations. They're acutely aware of NSA activities. They knows the threat. They take appropriate countermeasures. Cyber-attacks constitute war by other means. Doing so compromises freedom. It risks confrontation. It threatens world peace. It doesn't matter. America operates solely for its own self-interest. For control. For economic advantage. For being one up on foreign competitors. For information used advantageously in trade, political, and military relations. NSA's get it all mandate explains. June 5 is a landmark date. It marks the first anniversary of Edward Snowden revelations. He connected important dots for millions. He revealed lawless NSA spying. He did so in great detail. He's the gift that keeps on giving. Western nations collaborate irresponsibly. They do so with major corporations. Privacy no longer exists. There's no place to hide. Big Brother watches everyone. Spying goes way beyond protecting national security. All electronic communications can be monitored, collected and stored. Legal restraints are absent. Obama heads the most rogue administration in US history. He exceeds the worst of his predecessors. Congress and American courts permit the impermissible. Mass US surveillance is standard practice. It's global. It's all- embracing. It targets world leaders. It's after everything and everyone of possible interest. No constraints exist. No standards. Rogue states operate this way. America is by far the worst. Bashing China turns a blind eye to US high crimes. They're too egregious to ignore. America is a pariah state. It exceeds the worst in world history. It risks global confrontation. Stopping it matters most. It bears repeating what previous articles stressed. Today is the most perilous time in world history. World peace hangs in the balance. If you ever wonder what’s fueling America’s staggering inequality, ponder Facebook’s acquisition of the mobile messaging company WhatsApp . According to news reports today, Facebook has agreed to buy WhatsApp for $19 billion. That’s the highest price paid for a startup in history. It’s $3 billion more than Facebook raised when it was first listed, and more than twice what Microsoft paid for Skype. Given that gargantuan amount, you might think Whatsapp is a big company. You’d be wrong. It has 55 employees, including its two young founders, Jan Koum and Brian Acton. Whatsapp’s value doesn’t come from making anything. It doesn’t need a large organization to distribute its services or implement its strategy. It value comes instead from two other things that require only a handful of people. First is its technology — a simple but powerful app that allows users to send and receive text, image, audio and video messages through the Internet. The second is its network effect: The more people use it, the more other people want and need to use it in order to be connected. To that extent, it’s like Facebook — driven by connectivity. How does it make money? The first year of usage is free. After that, customers pay a small fee. At the scale it’s already achieved, even a small fee generates big bucks. And if it gets into advertising it could reach more eyeballs than any other medium in history. It already has a database that could be mined in ways that reveal huge amounts of information about a significant percentage of the world’s population. The winners here are truly big winners. WhatsApp’s fifty-five employees are now enormously rich. Its two founders are now billionaires. And the partners of the venture capital firm that financed it have also reaped a fortune. And the rest of us? We’re winners in the sense that we have an even more efficient way to connect with each other. But we’re not getting more jobs. In the emerging economy, there’s no longer any correlation between the size of a customer base and the number of employees necessary to serve them. In fact, the combination of digital technologies with huge network effects is pushing the ratio of employees to customers to new lows (WhatsApp’s 55 employees are all its 450 million customers need). Meanwhile, the ranks of postal workers, call-center operators, telephone installers, the people who lay and service miles of cable, and the millions of other communication workers, are dwindling — just as retail workers are succumbing to Amazon, office clerks and secretaries to Microsoft, and librarians and encyclopedia editors to Google. Beyond the NSA: What About Big Data Abuse by Corporations, Politicians? Do Americans Trust Obama Policies? Another Media Platform for the World’s Rich and Powerful?